We would like you the listener (or viewer, if you're consuming us on our amazing YouTube channel) to talk to us. You know, ask us questions, have a voice, something to say - interaction if you will. We might even resort to outright bribery. That's right. You ask us a question, and we might give you a free Steam code to a random game of our choosing. Sounds like a sort of fair deal, doesn't it? 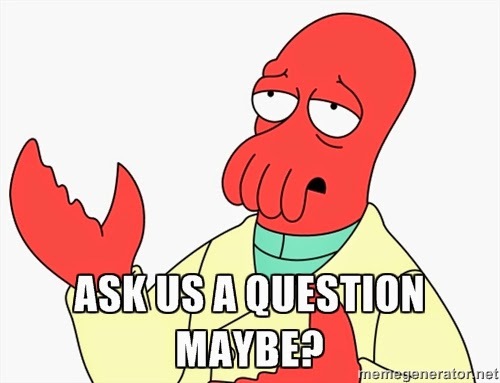 So send us an email (the link is over to the right side of this page... riiiight over there --> ) - and we'll answer it on air. And if we find it especially amusing, we'll give you a free Steam key for something. How does that sound? Good? Mediocre? Desperate? Let us know!